The Chariot is another card that obscures its meaning in extensive symbology. 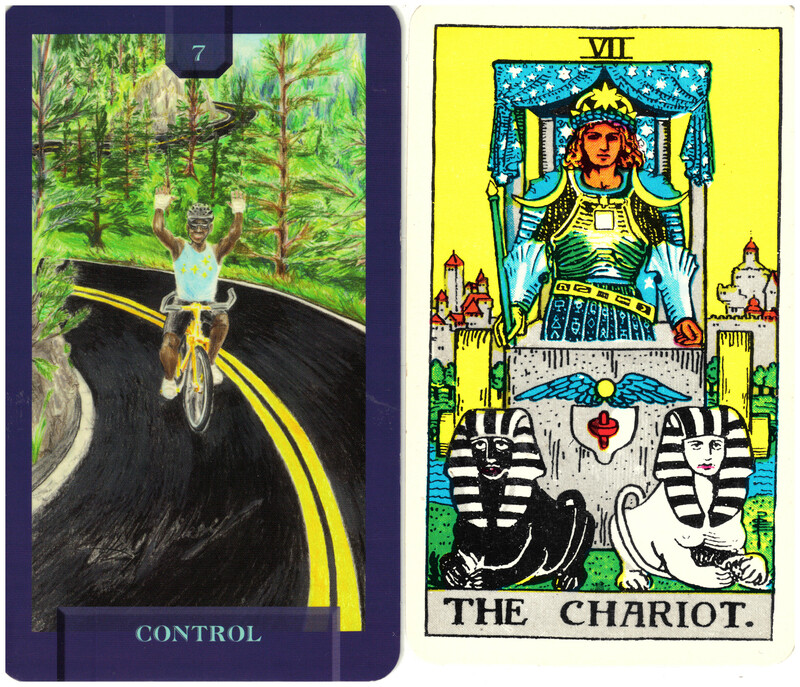 The Rider/Waite/Smith card for example has a charioteer with symbols all over his costume and his chariot. Black and white rather odd looking sphinxes pull the chariot. This card is about balance and control so in designing the card for Today’s Journey Tarot, Expanding Dimensions chose a bicyclist balancing and steering his bike down a hill with no hands on the handlebars. The card is simply called Control. The bicyclist maintains control of his bike with his will, not his physical strength. He keeps it in perfect balance and enjoys the ride.